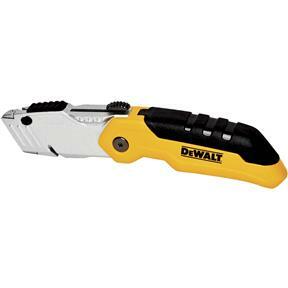 The DEWALT DWHT10035L Folding Retractable Utility Knife has a retractable blade that offers a variable cut depth. 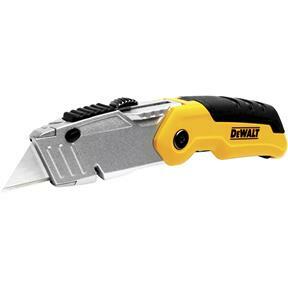 The rapid load blade change has an easy access button for quick blade change. It has a folding feature for quick and easy one-handed opening/closing and blade storage for convenient access to new blades. 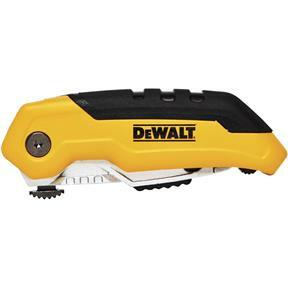 It has a rugged metal body for long tool life. Have about six of these some a little difficult to engage the blade and make it work properly. But overall I would still recommend them.